Nathan with Ed Balls MP at The Whizz-Kidz awards 2013. 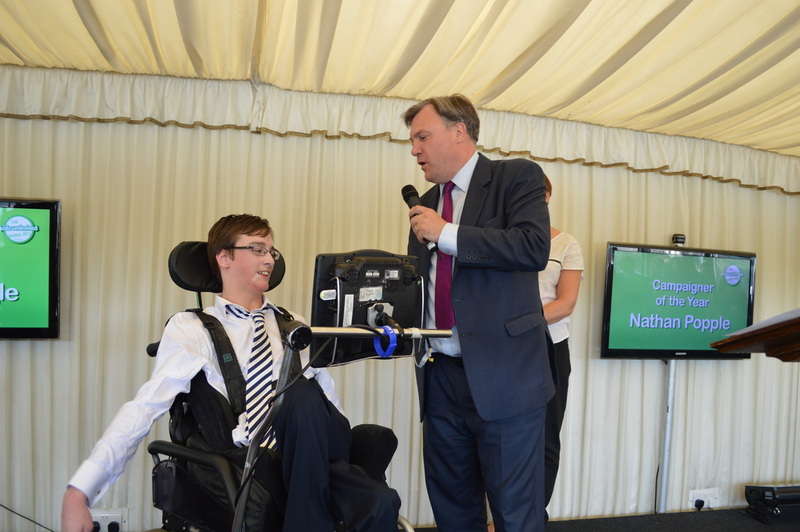 Nathan with celebrety hosts, his mum and Ed Balls at The Whizz-Kidz awards 2013. 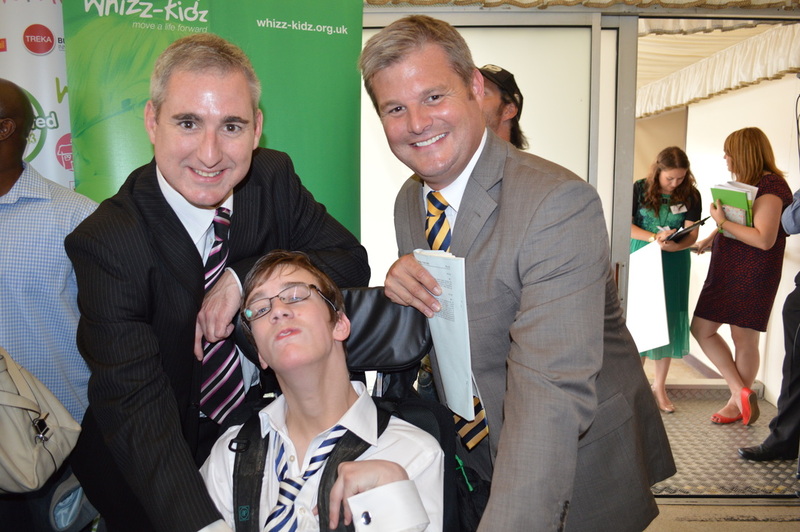 Nathan with Leeds MPs Greg Mulholland and Stuart Andrew at The Whizz-Kidz awards 2013. 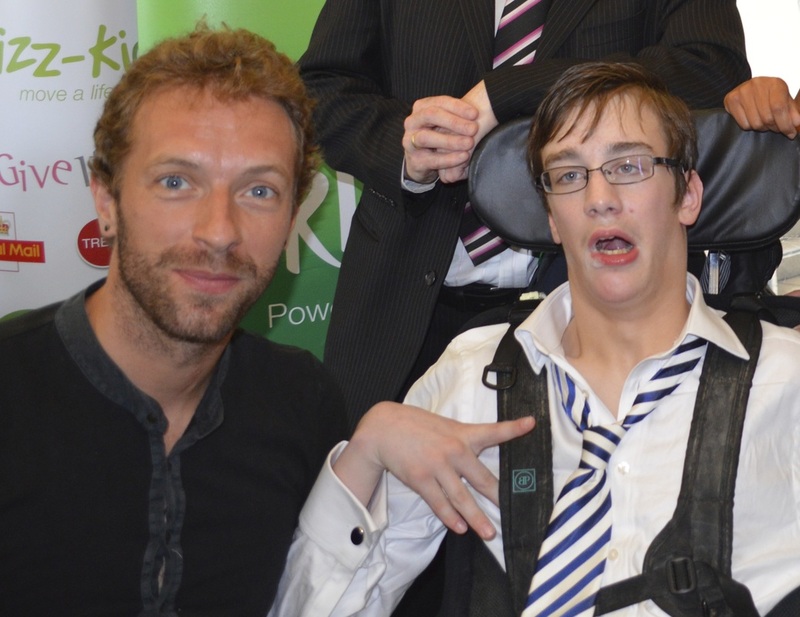 Nathan with Coldplay's Chris Martin at The Whizz-Kidz awards 2013. 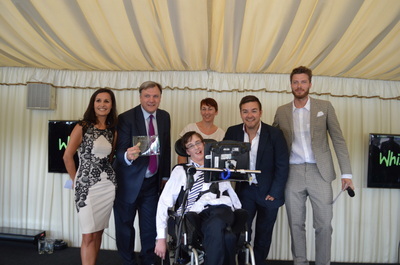 Nathan with 'Britain's Got Talent' finalists 'Luminites' at The Whizz-Kidz awards 2013. 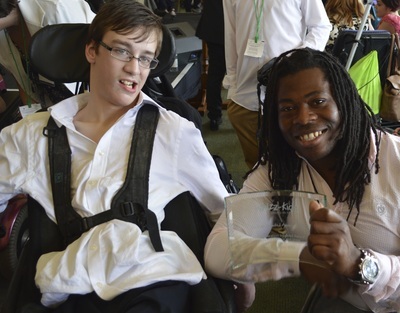 Nathan with paralympian Ade Adepitan at The Whizz-Kidz awards 2013. 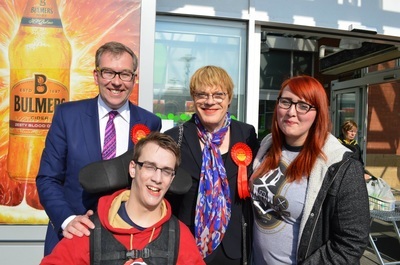 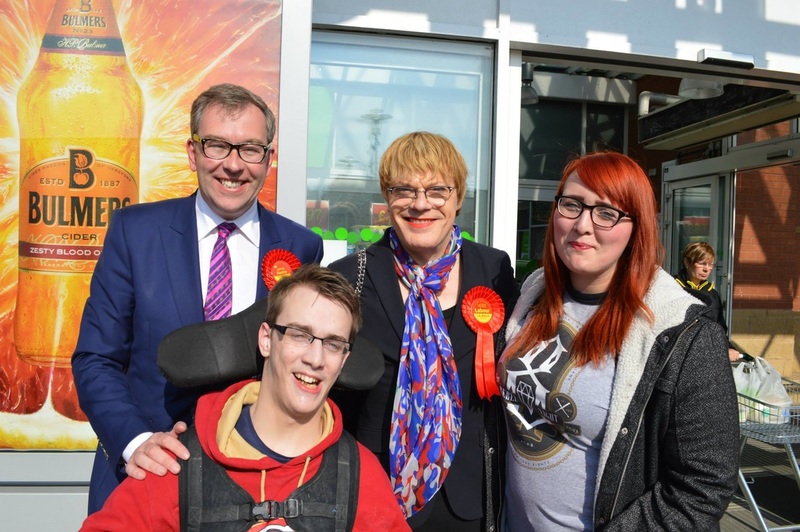 With campaigner Eddie Izzard and local Labour candidate Jamie Hanley during 2015 General Elections. 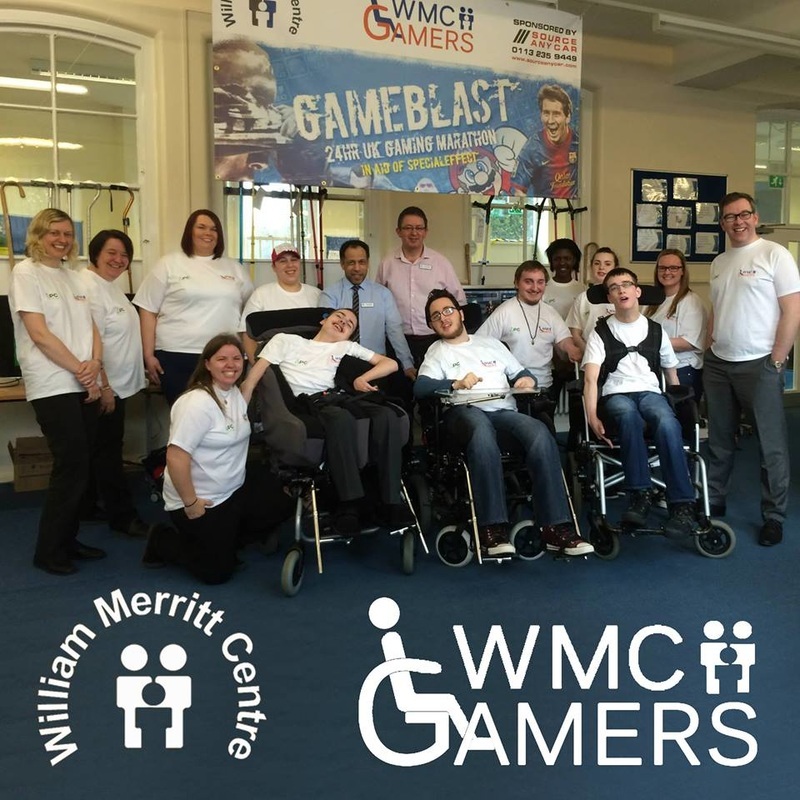 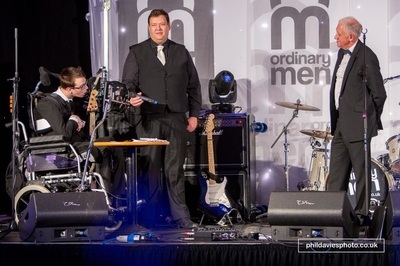 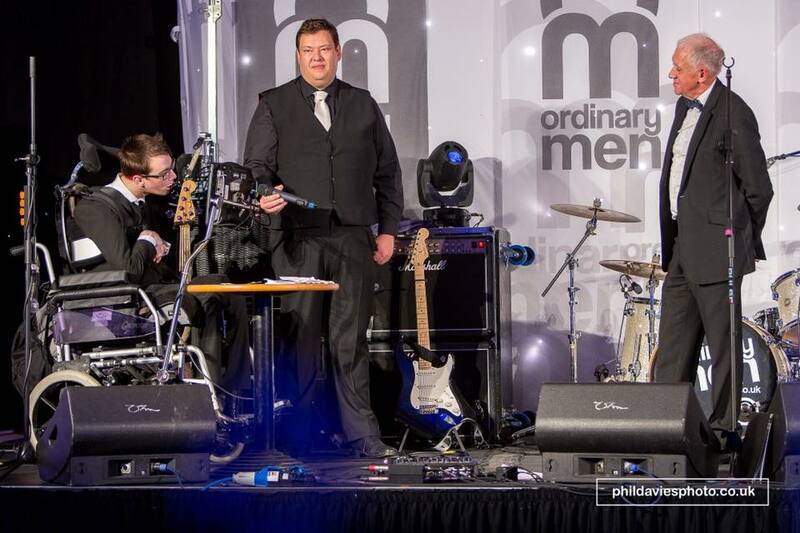 With BBC presenter Harry Gration whilst I made my speech on behalf of the William Merritt Centre Gamers at the William Merritt Centre Ball 2015. 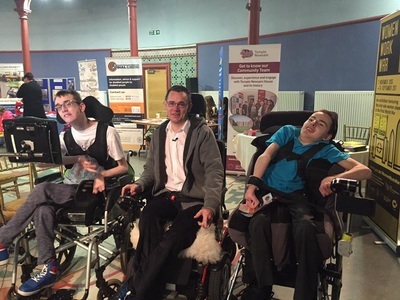 With Paul Ralph (centre), founder of Disabled Access Day. 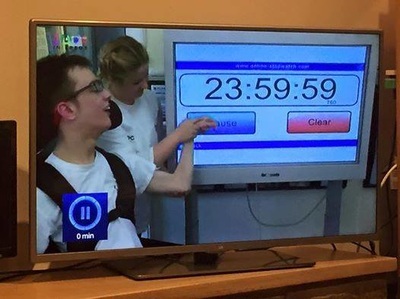 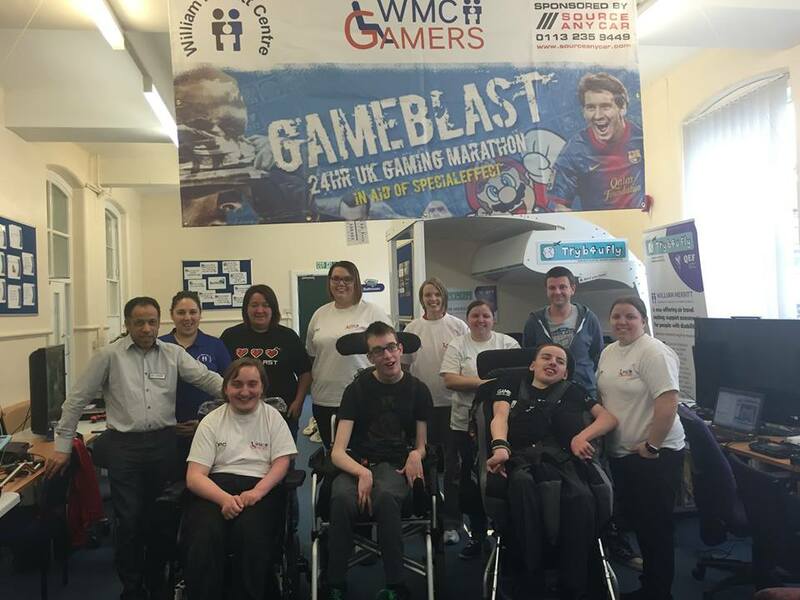 This is at Leeds City Museum, Disabled Access Day, March 2015. My friend and co-campaigner Colin McDonnell (right).